The Norwegian Professional Football League (NPFL) signed a new deal today and becomes the first league in the world to implement Wi-Fi and Mobile Video as a league-wide Solution. This announcement regarding the fact that the NPFL will become the first Pro soccer league in the world to implement Cisco Connected Stadium Wi-Fi and Cisco StadiumVision Mobile at every team’s venue is sports tech history. The Sports Techie community blog is honored to share this pioneering Industry news by Cisco and their sport business partners. The NPFL joins global leaders such as Real Madrid, Manchester City, Bayer04 Leverkusen, Sporting Kansas City, and Barclays Center as teams and venues that have or are installing both of these solutions. 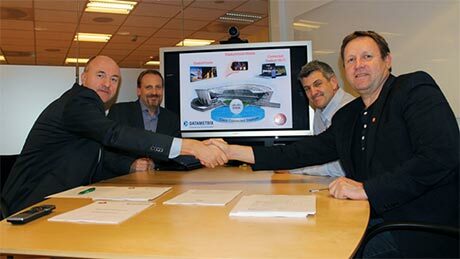 The Norwegian Professional Football League (NPFL), through a framework agreement with Datametrix, will become the first league in the world to implement Cisco Connected Stadium Wi-Fi and Cisco StadiumVision Mobile as a league solution, to give their fans the most connected experience possible and place them at the center of the action. Viking, Rosenborg, Vålerenga (Ullevaal stadium) and Haugesund will be the first teams and venues that will implement the solutions. “With the framework agreement that is now signed between Datametrix and NPFL, the clubs in the Tippeligaen have a great foundation to build reliable Wi-Fi solutions in-stadium,” said CEO of Norwegian Professional Football League, Leif Øverland. The need for these solutions was apparent as various surveys indicate that Norway is one of the world’s leading countries in use of smartphones and Internet, 94 % of Norwegian football fans bring their smartphone to matches, and internationally 73 % of fans bring their mobile devices to the stadium and 49 % share experiences there. “We have had a very thorough review of various solutions in the market and it was clear that Cisco Connected Stadium Wi-FI and Cisco Stadium Vision Mobile are the foremost solutions, used by teams and venues around the world, which will provide an optimal wireless network and mobile video delivery for our fans. Along with Datametrix , who made a solid impression with its wireless expertise in the development of wireless venues like Holmenkollen and Telenor Arena we are convinced that this will be a robust , well-functioning and future-proof solution that will give the audience new and engaging experiences,” said project manager in NPFL Jon Ola Bergaplass . Once the solutions are installed and tuned, which Datametrix will undertake, fans will have public access to reliable and ubiquitous connectivity, allowing them to take advantage of StadiumVision Mobile, which delivers up to four channels of live unique video content with minimal delay, and can offer such options as the live broadcast, replays, an alternate-view of the pitch, other games around the league, or a data channel. In addition, the solution will also offer a number of interesting new digital platforms for partners and sponsors such as targeted advertising, sponsorship activations, promotions, branding and more opportunities that allow venues, teams and events to connect with fans and deliver real ROI. “We are proud to have gained the trust of Norwegian Professional Football League and are looking forward to be part of realizing the ambition of Wireless League. Wireless infrastructure is a core area for Datametrix, and with this deal we take this expertise into the sports and adventure industry. We look forward to working with the various clubs on getting wireless infrastructure arenas built and help to enrich the audience experience for supporters ,” said CEO Svein Lerkerød of Datametrix . With so many entertainment options, it is getting harder for sports and entertainment properties to compete for fans’ leisure time and entertainment spend. Homes have high-definition (HD) television, movies have large-screen three-dimensional (3D) screens, and – now – live venues have Cisco StadiumVision™ to provide a new look at sports and entertainment. Synchronize live video feeds and content from the big screen to digital displays, all the way down to each mobile device. Engage fans in ways they’ve never experienced before. Empower them to create the interactive and personalized multimedia experience they crave. Whether they’re in their seats, buying food at a concession stand, or moving around the stadium, fans can participate in and share live event action. Using our optimized Wi-Fi network, you deliver custom entertainment and promotion packages, such as replays, alternate camera angles, and statistics with little to no delay. The Cisco StadiumVision solution allows you to create the ultimate in-venue experiences and contribute to initiatives to maximize the value creation potential of your venue. “Cisco applauds the Norwegian Professional Football League for their foresight, collaboration and ground-breaking commitment to changing the world of sports and transforming the experience for their fans through networking technology. The NPFL should take incredible pride in becoming the first league to implement Connected Stadium Wi-Fi and StadiumVision Mobile, ensuring that whenever their fans come to a match, they will be connected, immersed and engaged through their mobile devices. We look forward to delivering on our industry-leading solutions to fans throughout Norway and beyond,” said Jørgen Myrland, managing director Cisco Norway. To schedule a about Cisco Connected Sports and Entertainment Solutions customer briefing, please contact Cisco at ask-ciscosports@cisco.com. Sports Techie, Add the European NPSL to the Brooklyn Nets (Barclays Center), Real Madrid (Estadio Santiago Bernabéu), and Sporting Kansas City (Sporting Park) as innovative companies that have partnered with Cisco in order to change the fan experience at live venues. Fans using smartphones and tablets need bandwidth in order to meet the digital demands inside today’s modern stadiums and Cisco has it figured out. The Cisco Connected Stadium Wi-FI and Cisco Stadium Vision Mobile has clientele in all corners of the planet. They deliver video and a scalable Solution that offers a deep experience that other vendors cannot match. No longer are facilities stuck with limited and weak Internet connection options because Cisco has the real software and hardware Solutions. The Big Data numbers show that Norway has a nation full of Sports Techie who love using smartphones and the Internet. When Norwegian citizens are watching NPSL games inside local stadiums, nearly all of them will be packing a digital device and half will be engaging with social media networks, while downloading data and sending text messages, and uploading digital images and video content to their peers. It truly is amazing that we live in a connected world where NPSL fans can now use Cisco Stadium Vision Mobile to order Fattigmann cookies, team merchandise like jerseys and seat upgrades. 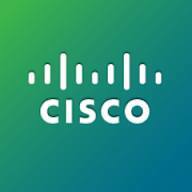 Cisco Connected Stadium Wi-Fi 2014 is the total sports tech package for the Norsk.